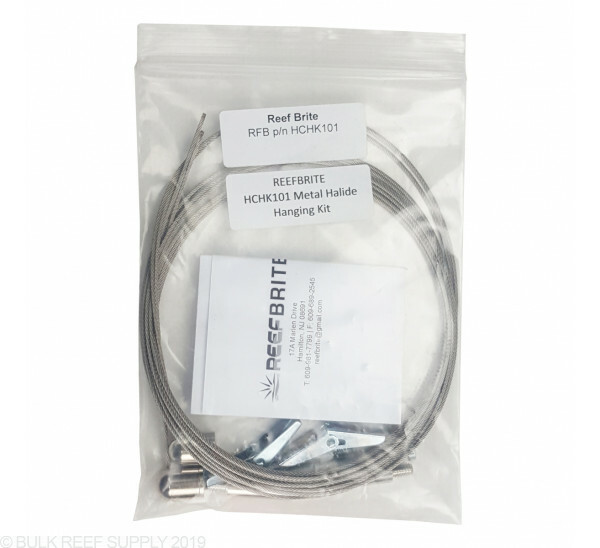 Reef Brite's wire hanging kit for their Metal Halide Pendants. 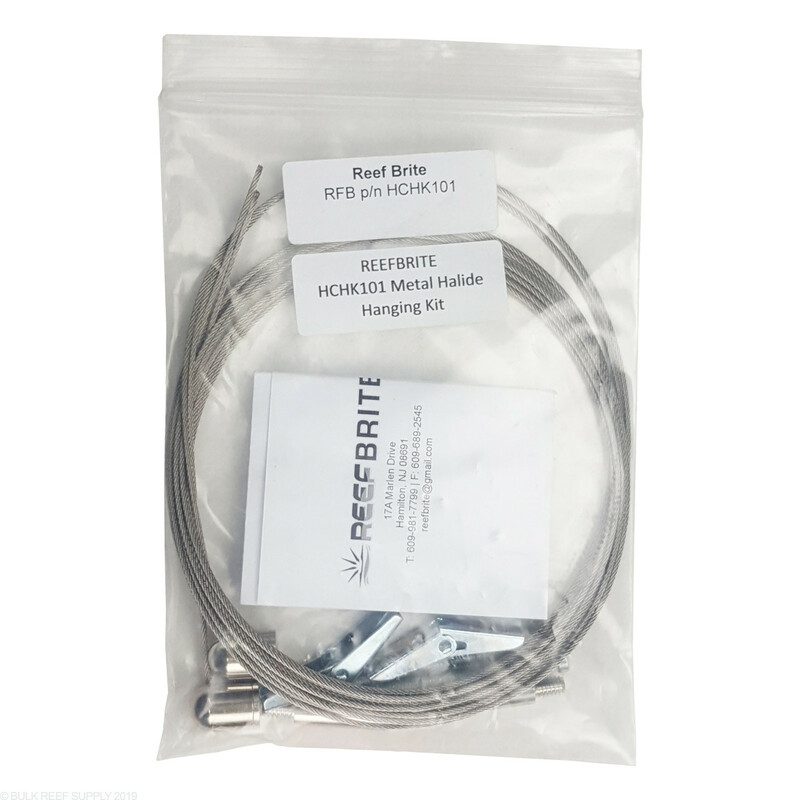 This hanging kit will work with all 15" and 36" Metal Halide Pendants. Figuring out the best way to mount a light over your tank can be a hard decision, and if you are wanting to suspend your Reef Brite Metal Halide Pendant use this hanging kit to do so. 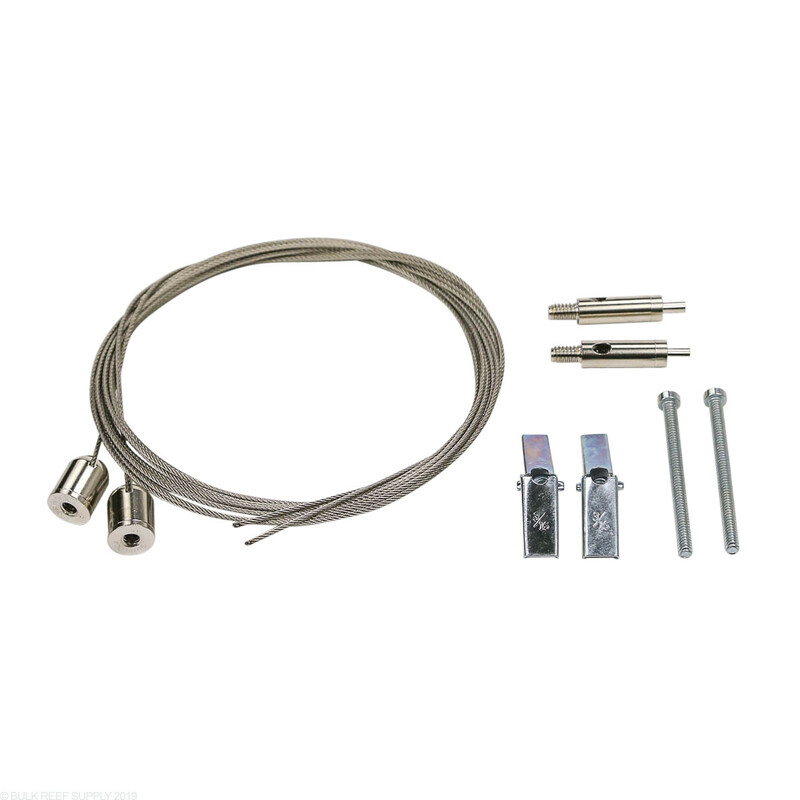 The wire hanging kit can be mounted to your ceiling or to a wall with Giesemanns Wall Brackets.